My wife and I recently brought our 22 month old son to his first pajama storytime. Unwise in the ways of toddler aging, I would prefer, “He is almost two year old.” He in his onesie, me in my version of pjs, and Mom the only mature, pajama-less one of us set out for an adventurous evening at our library. I suppose I should mention here my disappointment that adult onesies are not widely fashionable. When they are, as my dreams foretell, I shall forever wear them. As I was saying, we planned to arrive at the library a bit early so B could explore. Unfortunately, a significant aspect of his exploratory process includes climbing stairs at the speed of molasses. Against his wishes, we decided to carry him up for fear of missing the program entirely. 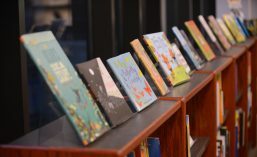 Librarians have organized short, picture book stacks in rows overlooking a play area and glass-walled activity room. My eager little guy scurried through the aisles pointing, oohing, and ahhing almost exactly the way I envisioned he would. 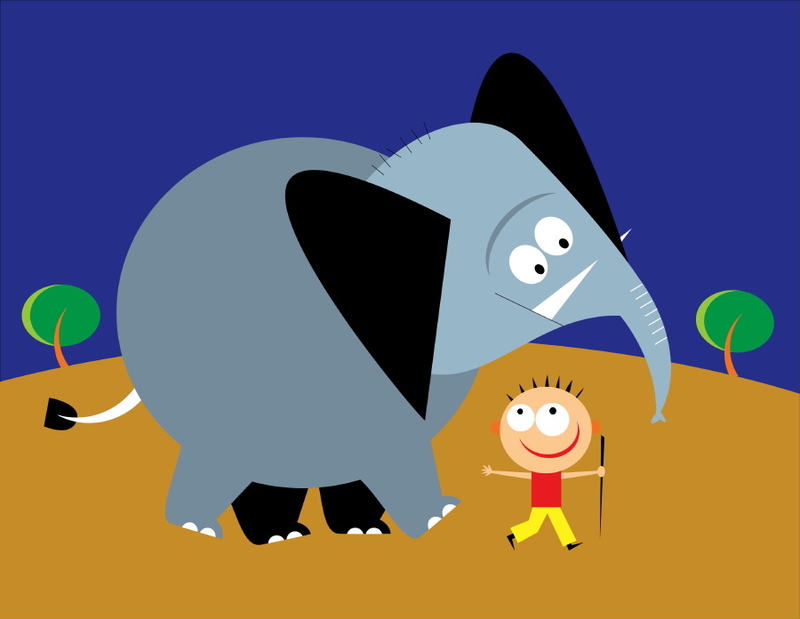 For B, nearly every audible thing on earth; cars, elephants, trains, cows, trains with car driving cows and elephants, produce an enthusiastic ‘Bbbbbbbbbbbb!’ sound. Naturally, when he noticed the dozens of stuffed animal characters on top of each book stack, the once quiet library was transformed into a bustling circus train yard. I was smitten. B has little previous contact with other children beyond our nuclear family. Toddler storytime at the library proved an excellent way to introduce him to other people his age. Although he looked to be the youngest of the bunch, he interacted with other children through play, crafting, and dancing while learning to share, communicate, and listen. Not bad for a 30 minute library program. The theme was spring and although librarian shared only two books (for the life of me, I can’t remember them…I was too busy being a proud father; bad librarian! ), the group was ready to graduate to building a paper plate mask with lion and lamb on either side. Afterward, we scurried out to the play area for some block building and car ‘bbbbbb’ing. As we left the library I reflected on the last hour (should I have said sixty minutes?) feeling happy and eager to enjoy our next visit. Strapping B into his car seat, I realized that the chances of him remembering his first storytime when he was say 96 months old were remote. Fortunately, I knew that I would never forget it.